On Monday, 12-17-18 at approximately 6:08 a.m., Officer Soyangco and Officer Lizana were dispatched to the Planet Fitness parking lot on a report of a subject who was breaking into a car. The reporting party interrupted the burglary and was then “pepper-sprayed” in the face by the suspect. The suspect fled the area, and the 45-year old reporting party sustained a skin irritation and burning sensation in his eyes and face. Five days later, officers were responding to another call involving the same suspect. They brought the suspect, a 26-year old San Francisco resident, in for questioning and subsequently arrested him for burglary, illegal use of tear gas, carrying a concealed dirk or dagger and for being a convicted felon in possession of tear gas. On Wednesday, 12-19-18 at 7:31 p.m., Officer Covarrubias was assigned to the Serramonte Shopping Center and was advised by Forever 21 store personnel that three subjects had just taken merchandise from the store. Officer Covarrubias saw three subjects running out of the mall and towards a white sedan. The officer chased the subjects, stood in front of the car and ordered the subjects to get out of the car. The officer then heard a female passenger yell, “go, go”, and the driver then drove forward towards the officer with no regard to his safety. The officer was able to get out of the way to avoid being struck by the vehicle, and the vehicle left the mall. This investigation is continuing. On Saturday, 12-23-18 at 4:10 a.m., Officer Soyangco and Officer Covarrubias were dispatched to the Walgreen’s parking lot on San Pedro Road on a report of two subjects fighting. Officers subsequently arrested a 29-year old Daly City resident for public intoxication and resisting a police officer. On Saturday, 12-22-18 at 7:55 p.m., a 24-year old Daly City resident was arrested for driving under the influence after being involved in a traffic collision at near the intersection of Alta Vista Way and Caroline Way. On Saturday, 12-22-18 at 8:54 p.m., Officer Ciucci was dispatched to the Arco gas station on Sullivan Street. A good Samaritan reported that he saw the driver swerving on Interstate 280 who then exited and drove to the gas station to put gas in his vehicle. The reporting party followed the subject and waited until police arrived. Officer Ciucci advised the subject that a concerned citizen had observed him swerving on the freeway and wanted to make sure he was safe to operate a vehicle. The officer conducted field sobriety tests and determined the subject was not able to safely drive. The subject, a 22-year old Half Moon Bay resident, was arrested for driving under the influence of drugs, possession of a controlled substance and for driving while unlicensed. On Saturday, 12-22-18 at 9:34 p.m., Officer Todaro was dispatched to the area of John Daly Boulevard and Park Plaza Drive on a report of a vehicle swerving and cutting off people. Officer Todaro found the vehicle parked in the drive-thru line of the Burger King restaurant and instructed the driver to exit the drive-thru line. Officer Todaro quickly smelled an odor of alcohol emanating from the driver. He conducted some field sobriety tests and deemed that the driver, a 48-year old female Daly City resident, was impaired and arrested her for driving under the influence. 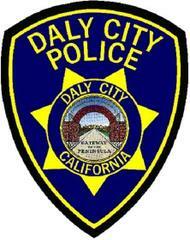 On Sunday, 12-23-18 at 1:06 a.m., an 18-year old Daly City resident led officers from Daly City, South San Francisco, and Colma Police Department on felony vehicle pursuit following an attempted traffic stop at the intersection of A Street/2nd Street. During the vehicle pursuit, the subject used his vehicle to ram a Daly City patrol vehicle and a Colma patrol vehicle. The subject was involved in a collision with a guardrail on highway 280 in San Francisco and fled on foot. A K-9 and numerous officers from several agencies searched for the subject. A San Francisco Police Department officer found the subject on Alemany Street, and he was arrested for assault with a deadly weapon on a police officer, felony vehicle evading, being an unlicensed driver, hit and run and resisting arrest. On Sunday, 12-23-18 at 5:08 p.m., a 28-year old El Paso resident was arrested for driving under the influence of alcohol after he was involved in a traffic collision with three vehicles at the intersection of John Daly Boulevard and Skyline Boulevard. There was one robbery and one attempted robbery during the past week. On Friday, 12-21-18 at approximately 3:49 a.m., officers were dispatched to the area of Como Avenue and Hillside Boulevard on a report of a male who broke into a vehicle and stole the reporting party’s jewelry. The reporting party’s husband attempted to chase after the suspect, and the suspect pushed him. Officers found the suspect, a 42-year old San Francisco resident, and arrested him for robbery. The 43-year old victim denied medical attention. On Sunday, 12-23-18 at 5:45 p.m., Target loss prevention officers attempted to stop a subject after he stole items (Amazon Fire tablet, Amazon Echo speaker, Puma luggage bag, clothing and a stuffed bear) from the store and left without paying. The officers were struggling with the suspect when officers arrived. The subject, a 22-year old Daly City resident, was arrested for attempted robbery, providing false identification to police officers, possession of burglary tools, misappropriation of lost property and possession of methamphetamine. There were two commercial burglaries during the past week. On Thursday, 12-20-18 at 12:59 p.m., two unknown females stole approximately $1,600 worth of women’s fragrances from the Sephora store and left without paying. The reporting party described the suspects as both being black females in their mid-20’s, 5’6” and both with a stocky build. This investigation is continuing. On Sunday, 12-24-18 at 7:56 p.m., Lucky’s reported that a male subject placed alcohol bottles into a bag and left the store without paying. Officers found the subject, a 39-year old San Francisco resident, nearby and subsequently arrested him for burglary. •	Planet Fitness parking lot—nothing was taken from a 2018 Nissan Rogue. The method of entry is unknown. Occurred on 12-17-18 at 6:00 a.m. **An arrest was made. See “Notable Reports” for more information. •	Cerro Drive/Savage Way—nothing was taken from a 2001 Honda Civic. The trunk was pried. Occurred between 6:00 p.m. on 12-17-18 and 9:40 a.m. on 12-18-18. •	Parking garage of 1851 Junipero Serra Boulevard (3rd floor)—a portable jump starter, Timbuk 2 bag containing paperwork, Texas Instruments calculator and a portable USB charger were taken from a 2010 Honda Insight. The rear window was smashed. Occurred on 12-19-18 between 1:00 p.m. and 1:20 p.m. **On-line report. •	900 block of Gellert Boulevard—miscellaneous items were taken from the glove compartment of a 2008 Toyota Sienna. The method of entry is unknown. Occurred on 12-20-18 between 8:40 p.m. and 8:42 p.m. **On-line report. •	6700 block of Mission Street—a Michael Kors purse and wallet were taken from the rear passenger seat of a 2016 Toyota RAV4. The left rear window was smashed. Occurred on 12-21-18 between 4:40 p.m. and 5:00 p.m.
•	Schwerin Drive/Geneva Avenue—nothing was taken from a 2001 Lexus RX300. The front passenger window was smashed. Occurred between 1:00 p.m. on 12-21-18 and 5:23 p.m. on 12-22-18. •	Schwerin Drive/Geneva Avenue—vehicle registration, manual insurance card and a driver's license were taken from a 2004 Mazda. The front passenger window was smashed. Occurred between 4:00 p.m. on 12-20-18 and 5:23 p.m. on 12-22-18. •	Schwerin Drive/Geneva Avenue—nothing was taken from a 2000 Chevrolet Trailblazer. The front passenger window was smashed. Occurred between 5:30 p.m. on 12-22-18 and 6:30 a.m. on 12-23-18. •	Parking lot of Val’s Restaurant—costumes, bank cards, and a camera were taken from a 2008 Ford Escape. The rear windows were smashed. Occurred on 12-23-18 between 9:00 p.m. and 9:32 p.m.
•	Parking lot of Val’s Restaurant—nothing was taken from a 2015 Toyota Camry. The two passenger windows were smashed. Occurred on 12-23-18 at 9:53 p.m.
•	200 block of Alta Loma Avenue—unknown what was taken from a 2007 Ford SUV. The method of entry is unknown. Occurred on 12-23-18 between 9:30 p.m. and 11:03 p.m.
•	Alta Loma Avenue/San Fernando Way—unknown what was taken from a 2016 Jeep Sport. The right rear window was smashed. Occurred sometime on 12-23-18. Happy New Year to you all. Please celebrate responsibly.